Yes, that is what I was wondering if it could be installed and utilized on a ROCK machine but after further reading around (pretty much new to this system), I think not. What do you mean by running it on a different system and have it used by ROCK? All those components communicate via network with the Roon core. Similar to how your Roon remote, bridges or Roon ready devices communicate. In my setup, the Roon core runs on a different computer than the extensions, though it’s perfectly fine to run all of them on the same one. In theory, it should be possible to run the extensions on a Raspberry Pi, though I am not sure if anybody tried already. Thank you, I’ll research that further! Sorry for the late reaction, I want to maximize the time my NAS is in hibernation. Therefor a dynamic solution is the most efficient. Creating tasks means that Roon Server will be running wether I am listening to music or not. If somehow you could integrate a stop/start package command script on the NAS that is triggered by a harmony task it would be great. To answer your last question: your extension runs perfectly fine on my raspberry pi 3 that communicates with Roon Core on my NAS. Just one drawback, if I stop the Roon Core package I need to manually remove and re add the corresponding harmony task under device settings otherwise the extension does not work. Maybe an update can fix this behavior? But nothing more. I configured multiple activities in my Harmony and use them daily. But I can see none of them in the extension configuration … Where is my mistake? 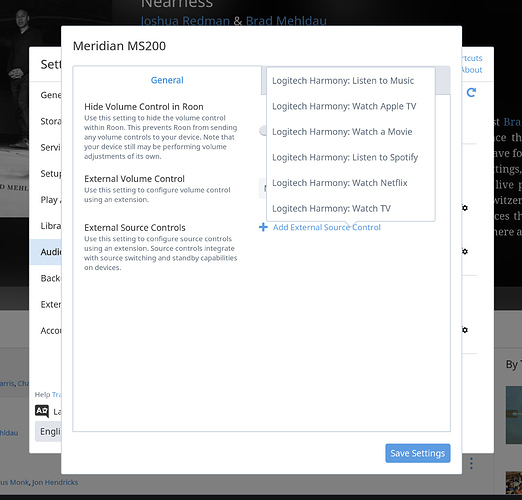 Have you added an activity as External Source Control in Roon Settings > Audio > Device Setup? Thank you. That was my mistake. Now it works! 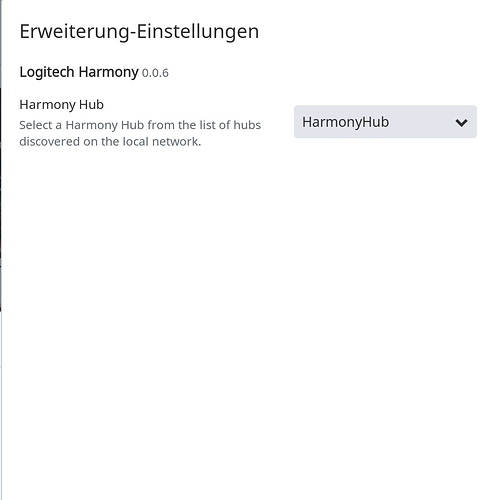 Even after updating & restarting, the Harmony Extension could not find my hub. (The hub is on wireless; everything else is on wired. All have fixed IP addresses in the same range.) I was able to get it working again by manually adding the Hub name and IP address to the config.json file, but I just wanted to share the info and see if there is something I could do to make hub discovery and daily operation more reliable in the future. I’m running version 0.0.6 of the Harmony extension. Update: I discovered one issue that might have been causing the problem: When my Windows 10 core machine connected to my new router, it set the network profile as “Public” (even though it was a wired connection), so a lot of things were restricted. Now I’m off to go update the network settings on every Windows computer in the house [sigh]. Its been a few days that my harmony extension has stopped working. I can see the extension in the extension manager and can select a hub. But it no longer appears as a external device selection in the input app. If it is of any interest , i can no longer see the extension in the list that shows authorized extenions. Even though in the extensions page it is there, very odd. You probably installed the Firmware update for the Harmony. This disables the local APIs and Logitech already received the shitstorm they deserved. Since then Logitech has promised to allow users to re-enable the API. But that requires another firmware update which might not be available at the moment. 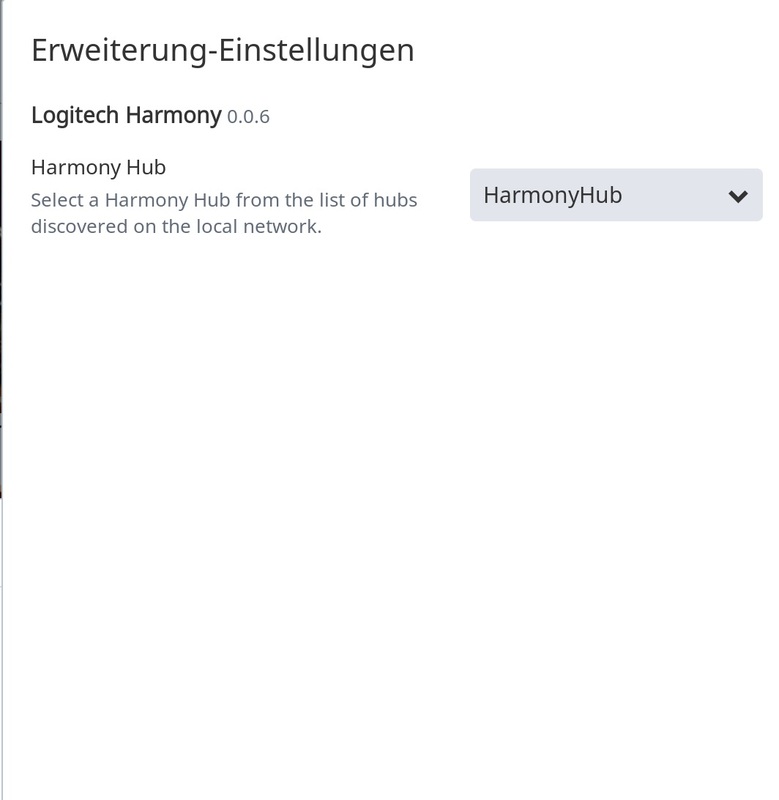 You can install a beta update via the harmony desktop app to the hub to get around this until they release a full version. Any ideas on how I can fix? Looks like it is pulling version 0.0.8 of the extension. I am running Roon Extension Manager on DietPi. remote: Enumerating objects: 83, done. Unpacking objects: 100% (83/83), done. npm WARN roon-extension-harmony@0.0.8 No repository field. It seems you are missing the npm install step that’s described in the README.md. Hi, sorry to be a noob, but I think I did the npm install step…but it is giving me a “deprecated” message. Please see above. Any ideas? Or do I need to do npm install in another spot as well? This indicates that the extension is trying to listen on a network port that is already in use by another process. This should provide some additional debug information. Hi - Sorry if this is annoying. The extension works perfectly for me except it tends to crash after a few hours. (I’m running it on an Intel NUC with Windows 10.) I thought it might be related to the computer I’m using for Roon control going to sleep, but I haven’t been able to reproduce the problem that way. Here is the error message. Can you advise me about what the issue might be? I see the same error has been observed with other extensions. From reading around a bit, I get the impression updates to Roon can make extensions start to crash because Roon doesn’t communicate with the extension the same way anymore. It sounds like an update to the extension is often the solution. Can anyone add to the discussion?